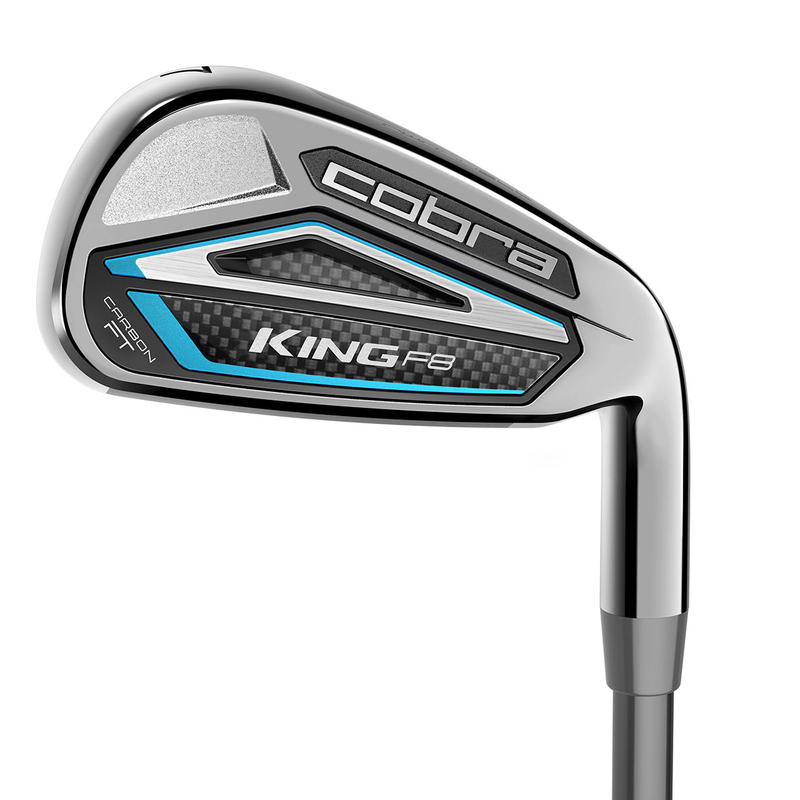 This truly smart set of irons, offers innovative proven technology, and Cobra CONNECT™ tracking system to take your golf game to the next level of performance. The set features Cobra CONNECT technology incorporated into the golf grip which gives the golfer access to performance GPS data, with access to over 40,000 international golf courses. Download the free Arccos smartphone app and pair your clubs to your phone and track your distance and accuracy of every shot. One of the first things you will notice is the Carbon Fibre multi-material head design. These lightweight carbon fibre medallions and inserts are strategically placed to provide a more uniform feel, exceptional sound, and providing a dialled-in performance from your long distance irons to your low scoring wedges. 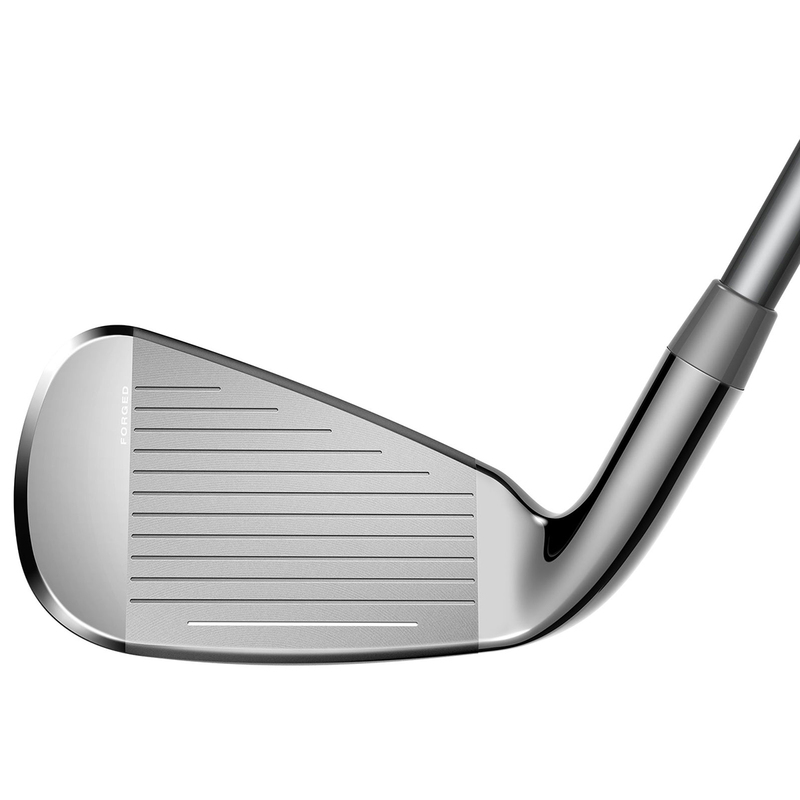 The irons feature TECFLO progressive set technology, which is a number of different head constructions, which progress through the entire set. 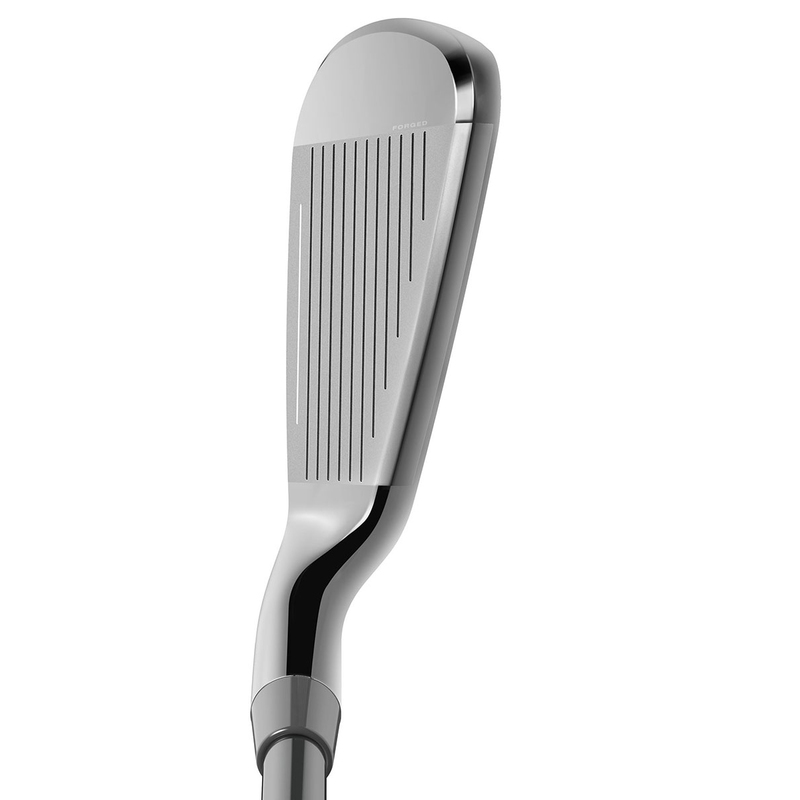 This gives you increased forgiveness, accuracy and precision, depending on which club you choose. Low-Pro variable hosel lengths also optimise the centre of gravity locations in each iron, to promote launch, speed and forgiveness through the set. The irons come equipped with CNC milled grooves for improved control and workability, and have progressive spin technology to help you dial your shots into the green with added confidence.